Washington Correspondent Eddie Walsh talks defense, diplomacy, and trade issues with Australia’s U.S. Ambassador. The Diplomat is running a series of interviews with Washington DC-based ambassadors on defense, diplomacy, and trade in the Asia-Pacific region. 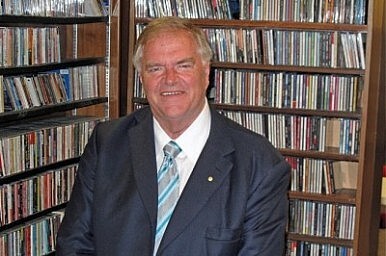 Last month, Washington Correspondent Eddie Walsh filed the first part of his interview with Ambassador Kim Beazley of Australia. Following is the second part of the discussion, on defense, diplomacy, and trade issues in the Asia-Pacific region from the Australian perspective. ANZUS recently celebrated its 60th anniversary. To remain relevant, the terms of the treaty must be regularly updated to account for the changing security environment. For example, the Australian and U.S. governments announced earlier this year that a cyber attack on either nation would trigger the treaty. However, some say there are larger questions to be answered than just what new threats fall under the treaty. There are issues of strategic responsibilities and shared costs which can’t be overlooked. So, from your perspective, what is the current state of ANZUS? What more needs to be done to modernize the treaty, and how is Australia responding to America’s call for its allies to contribute more to global security within the context of ANZUS? Most people – Australians included – have a fixed view of the American-Australian alliance. ANZUS is just part of the relationship – a sort of boilerplate document that underpins it all. So, there’s a sort of assumption that it was there in 1951 and it’s the same now. It isn’t. It changes constantly. It changes quantitatively in the characteristic of the relationship between the two countries and the things they do together. It also changes geo-politically as the area that Australia inhabits alters in terms of importance to the United States. One of the reasons it took so long to get ANZUS in place from 1945-51 across successive Australian governments was because the South Pacific was no longer relevant to the United States once World War II was over. The focal points of the Cold War were already relevant by the end of the 1940s. The global political system of the Cold War had as its focal points Europe, North Asia, and to a degree the Middle East because of oil. Particularly after the Vietnam War, the Nixon Doctrine assumed not much importance to Southeast Asia and none at all to the South Pacific. So, the zones of fascination to Australia were barely important to the United States. Our significance to the United States was the product of two things. In 1941, our significance was that we had to sign the Japanese peace Treaty, and ANZUS was an exchange of that signature. It was the 1960s that dramatically changed that relationship though. As John F. Kennedy decided that the focal points weren’t the only things at stake in the Cold War, Southeast Asia was temporally put on the table as the United States sought allies in Vietnam, which upgraded the relationship with Australia until Australian training of troops in South Vietnam was successfully sought in 1962. Even more important, (U.S. Defense Secretary) Robert McNamara completely reinvented the U.S. strategic deterrent, which gave the U.S. new requirements for communications, early warning systems, and intelligence gathering systems. Australia was the quiet continent that was the perfect ground station for installation of systems of those kinds. Those systems and agreements associated with them are at least as important in characterizing the relationship between the United States and Australia as ANZUS. They’ve changed technologically as technological changes have occurred in the U.S. military. They remain important, and they are if you like the ballast of the relationship between Australia and the U.S. There are now many other things being done. Technological change has now put cyber on the table, and the agreements that we have in place are pretty advanced. The world in which we now live places at least as much premium on intelligence gathering as the Cold War did – probably a bit more on the HUMINT side than the Cold War did. So the intelligence relationship is increasingly significant. The real increase though of Australian significance to the U.S. is geographic. The conclusion of the Cold War assumes a new central dynamic in the word system. That central dynamic is the rise of new economic powers – most of which are situated along the Asia-Pacific. All of a sudden, Australia has gone from the backwater strategically – with the exception of those joint facilities – and is now the Southern tip of the focal point of the global political system. So, where does the alliance go? Pretty much strength on strength on the basis of that argument. The Iranian nuclear program has garnered headlines for the last year. The U.S. Secretary of Defense’s comments a few months ago that an Israeli attack on the program is probable in the coming months have only fueled concerns that we are on the verge of another major conflict. What are your views on the clear and present threat that Iran poses to the world? Do you think that a major escalation in the conflict is likely in the next six months and what is at stake if Israel or others commit to a major attack on Iran? We think it’s tremendously important that the Iranian government understands completely that the rest of the globe is concerned that Iran has failed to answer serious international concerns with its nuclear program. The effects of Iranian nuclear weapon development could cause instability in the Middle East and beyond. Then we would have a totally different world where nuclearization is general and there is greater possibility of devastation in any particular conflict. Those are big stakes, and therefore we’ve done everything we can as a government to advocate against it, including at the United Nations and in our dialogue with other countries who are interested in the issue. We do everything we can do ensure that those sanctions are hard enough that it will change the opinion of the Iranian government and will change the direction of where it is going because the long-term consequences if they do go down the nuclear road are horrific. If they persist and it becomes a conflict, then we all bear the economic struggles. Many observers believe that U.S.-Pakistan relations are at an all-time low. New efforts in Congress to cut Pakistan aid potentially raise new issues that undermine Pakistani confidence in the U.S. relationship and will do little to help the Obama administration repair relations. From Australia’s perspective, do you think that the West’s engagement with Pakistan is on the verge of a radical shift? We take a very firm view that Pakistan must be encouraged. While it’s not an easy thing to do, it has to be done. When everybody is frustrated with Pakistan, and many countries are frustrated with them, at the end of the day, you sit down and think it through and the conclusion you come up with is that you should stay engaged. We have a strong relationship with Pakistan ourselves. We continue our relationship with the Pakistani military because it’s a very important contribution, so we stay in conversation with the Pakistanis. We simply hope that Pakistan succeeds as a country and that Pakistan plays a constructive role in things like Afghanistan. The U.S. Defense Department recently announced the launch of a new Air-Sea Battle program. But, as the press pointed out following the press conference at the Pentagon, the U.S. military has done little to articulate what unique contributions the Air-Sea Battle provides to the U.S. military and how it differs from the Joint Chiefs of Staff’s existing responsibilities. As an important ally of the United States whose national security rests largely on your air-sea gaps, what is your perception of the concept and do you believe that the new office offers any distinct contributions to your national security interests? Does it send a message to you when they have O6s stand up and say they will focus on air-sea battle after the Darwin speech? We have said since 1992, the defense of Australia is maritime defense. The maritime defense in the first instance is the capacity to sufficiently use surface and sub-surface forces to defend Australia from anyone and anything with technical ability that exists within the region if circumstances arise that those who possess those technological capabilities have changed their intent (and) intend to do us harm. Maritime strategy and maritime defense is therefore something Australia is entirely familiar with. And so, when the Americans say they have given considerable effort in developing doctrine around the concept of the air-sea battle, i.e. maritime strategy, we are definitely in (on) it. (The fact that senior U.S. military staff are raising the issue) doesn’t send a new message because Americans have been talking about, especially in its internal discussions, where it wants to focus its defense spending. There have been a lot of discussions that focus on maritime security and capacity to ground operations…The U.S. has been discussing that for a long time.